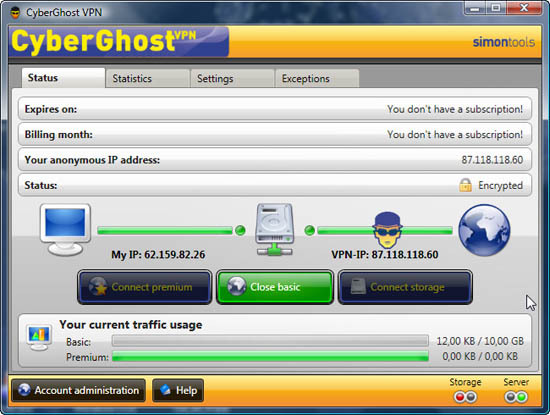 CyberGhost VPN enables you to surf anonymously by encrypting your data and hiding your IP address, replacing it with that of the server you choose to connect to. 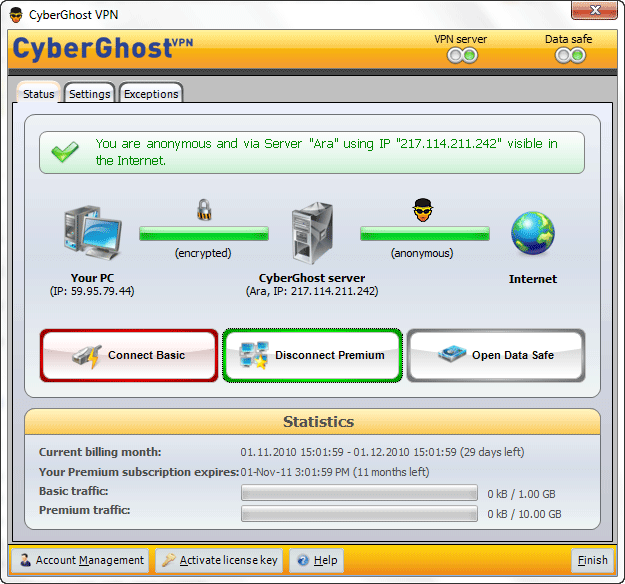 CyberGhost client software connects you with an online server via a so-called tunnel that transmits all data in encrypted form, currently giving you 100% protection from eavesdroppers. The Internet pages you visit only see the address of our VPN server, not your private IP address. In this way, you are ensured total anonymity.